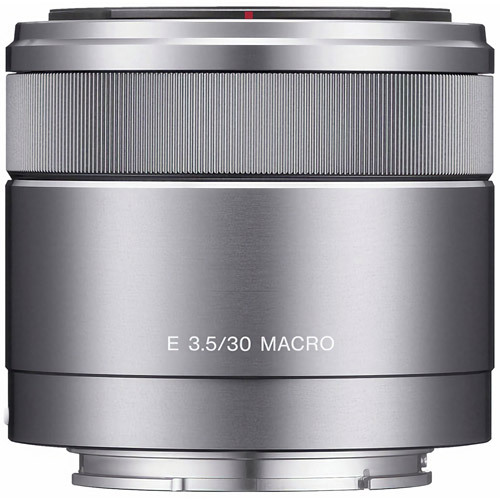 Sony's 30mm f/3.5 Macro Lens for Alpha NEX Cameras features a 1:1 magnification ratio at all apertures and ED glass as well as multi-coating for excellent image quality. Chromatic aberration and colour bleeding are minimized to produce clear, crisp photos and video. Direct Manual Focusing lets you switch instantly from autofocus to manual focus without any other adjustments, and an internal stepping motor and rear-focusing design provide the quiet, smooth operation that's required for high-quality video capture. 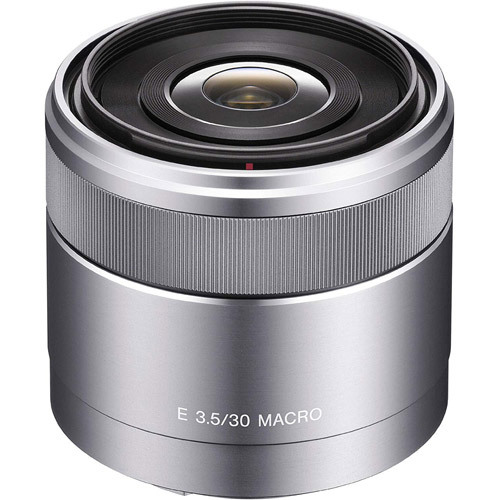 This is a versatile lens that gives you plenty of options for quality image-making.